The Chinese government is committed to protecting the environment in the Pacific. Yesterday, the Chinese Embassy put money behind this commitment when it presented US$150,000 to the Vailima-based Secretariat of the Pacific Regional Environmental Programme (S.P.R.E.P). The presentation made by the Chinese Ambassador to Samoa, Wang Xuefeng, marked 13 years of partnership between China and the organization. 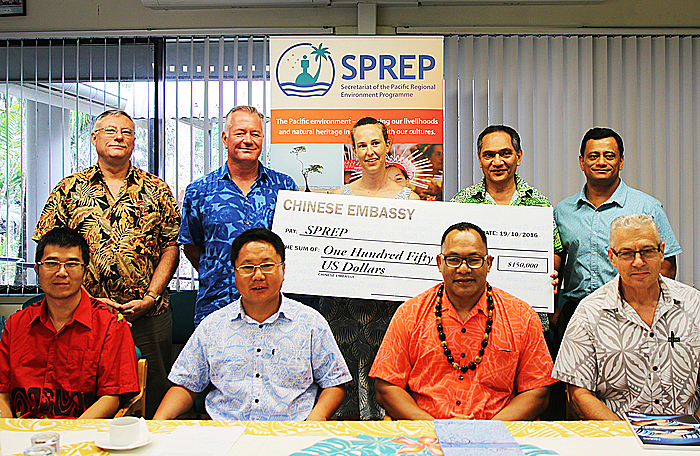 The Director General of S.P.R.E.P, Leota Kosi Latu said the donation is a symbol of the strong relationship between China and the Pacific. He commended the effort by the Chinese government in taking the lead on the global stage to address climate change. “And as you are aware, the Paris agreement is now coming into force. And I believe that if not for the strong combined effort from China and U.S., the other countries would not have signed the agreement. 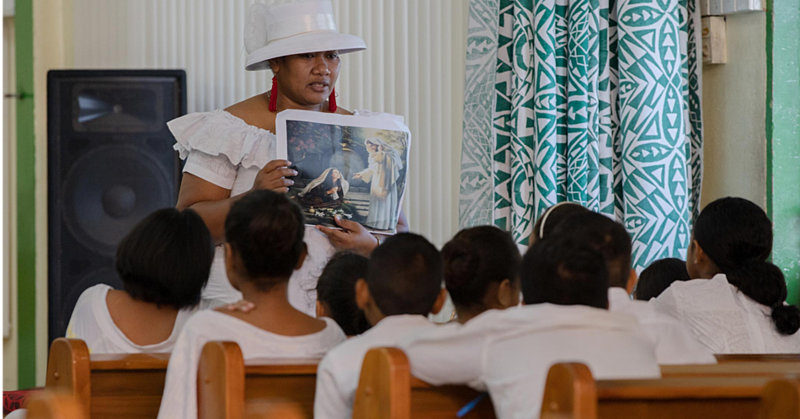 Speaking to the Samoa Observer, Leota said China has been giving the same amount of money to S.P.R.E.P every year since 2003. He said there are no specific requirements of the funding. “But we do know that in the past, they’ve required the use of that funding for climate change activities. So we are looking at using some of that fund on some climate change activities and also we will be looking at some of that fund to support our core business. So we will sit down and have a look at that, but as I said, the Chinese funding to S.P.R.E.P is pretty flexible which is much appreciated,” said Leota. Ambassador of China to Samoa, Mr. Xuefeng spoke about the vital role carried out by S.P.R.E.P. 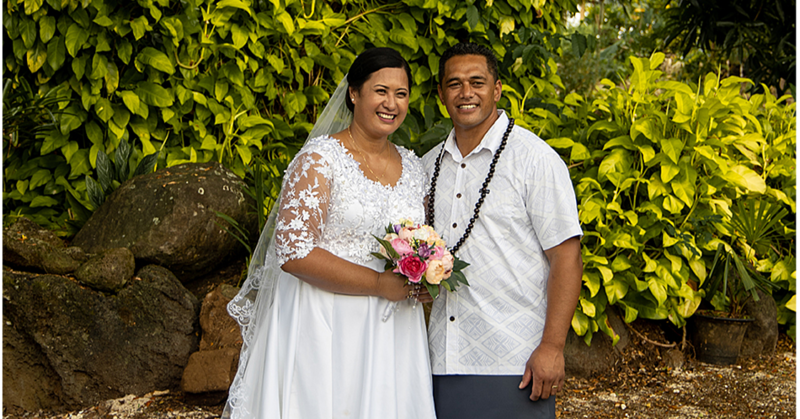 He went on to say that the time he had spent here in Samoa as Ambassador has taught him so much about the significant roles of S.P.R.E.P in regards to environmental issues and climate change. “I have come to learn more about S.P.R.E.P and realized the importance of the work they are doing. Among the UN 2030 Sustainable Development Goals, most of them are environment related. In the Pacific Island Countries, environment is particularly crucial to the economy's development and people’s everyday life. “As a responsible major developing country, China plays high priority on environmental issues. Domestically the Chinese Government has integrated Green Development into it's national strategy of economic and social development. “During the G20 Hangzhou Summit concluded last month in China, China and the United States both formally ratified the Paris Climate Change Agreement, a move immediately hailed as a significant advance in the battle against global warming. 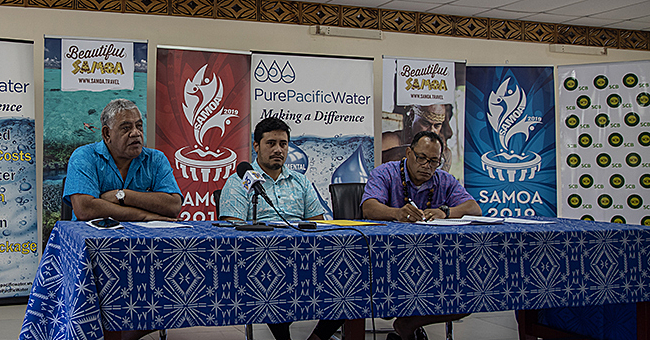 “Here in Samoa, we are committed to join the efforts of the Samoan government in addressing climate change.